Well friends, here we are once more at the annual Oscars Ceremony - the 89th of which, too! It's been a good year for film, not the greatest by any standard - Suicide Squad, after all - but when you filter out the superhero slogs and the mass of disappointing summer blockbusters, 2016 left us with some pretty high tier stuff. The musical came roaring back to life with La La Land, minority figures were given a powerful voice in Moonlight, Fences and Hidden Figures, sci-fi acted as a thoughtful message to a shaky world courtesy of Arrival, and the theme of grief was tackled in an unprecedented way thanks to Manchester by the Sea - all of which are up for a handful of awards tonight. There are the usual frustrating snubs - no Best Actress nomination for Amy Adams' Arrival work, no Best Original Song nomination for the glorious Sing Street, the general lack of Silence recognition over all - but let's ignore what isn't and focus on what is. 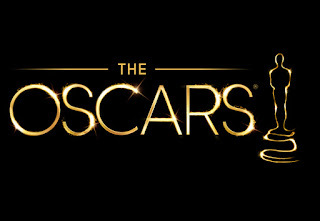 Here are my predictions for how tonight's 89th Academy Awards will go down! What Will Win: Not all that long ago, this was a pretty open race. Moonlight almost took pole position for a short while, but now La La Land seems unstoppable. It has dominated award ceremonies so far, and I can't see any reason why it won't complete the set tonight. What Should Win: This is an almost unfairly good selection of films. Lion aside, you could probably convince me that any of these are worthy winners. La La Land hit my heart, Hacksaw Ridge obliterated my nervous system, Hell or High Water was a total blast and Moonlight gave me a cinematic experience unlike any other. Yet, when I look at all of these films, just one of them leaps to the spotlight: Arrival. It won't win, and I'm okay with that, but it's the only one in the bunch that I really struggle to find a fault in. See how I rank the nine Best Picture contenders here. Who Will Win: In what seems to be one the biggest locks of the night, Damien Chazelle pretty much has this in the bag. You could make a case for Barry Jenkins stealing this to balance out the two top awards between the two clear front runners, but even that is starting to seem unlikely. With just his second directorial feature, Chazelle is the man of the hour. Who Should Win: Arrival may have been my favourite film of 2016 but Villeneuve's Oscar glory shouldn't come tonight. Tonight belongs to Damien Chazelle, a man who turned a simple musical into a spellbinding and magical experience for film lovers around the world. It isn't to everyone's tastes, but when you're young and you love cinema, La La Land is the kind of film you can only dream of. It's thanks to Chazelle that we get to experience it for real. Who Will Win: Casey Affleck, it's one of the biggest locks of the night. He's swept almost everything. Who Should Win: Casey Affleck, the man is unstoppable this year. His work in Manchester by the Sea is extraordinary, delivering a masterful script in an even more masterful way. If he doesn't make you cry at least twice by the time the credits roll, I'd probably question your humanity. Who Will Win: A while ago this was a three horse race, but now Emma Stone has left Natalie Portman and Isabelle Huppert behind and moved to the front of the pack. After her first nomination two years ago, she will more than likely claim Oscar glory tonight. Who Should Win: Emma Stone is delightful in La La Land but no one here can compete with the sheer magnetism of Natalie Portman in Jackie. It isn't just her replication of Kennedy's voice, it's the way she commands every breathtakingly intimate frame in the film and forms a persona that you simply cannot look away from. It's the performance of a lifetime. Who Will Win: This one is all over the show. Aaron Taylor-Johnson took the Golden Globe but failed to score a nomination tonight, Dev Patel claimed the BAFTA but has seemingly no other momentum besides that one surprise win, yet Mahershala Ali has remained the people's favourite throughout. For that reason, I can see this being the one category of the year with entirely different winners across the various ceremonies. Who Should Win: Again, all of these performances are superb - it's been an excellent year for acting. Lucas Hedges is outstanding in Manchester by the Sea and Michael Shannon is as commanding as ever in Nocturnal Animals. But Mahershala Ali's brief but unforgettable, and not to mention stereotype shattering, performance in Moonlight is the one that sticks with you the most. Who Will Win: In what is probably just as big a lock as Casey Affleck's trophy, I feel confident in saying Viola Davis shouldn't be too worried tonight. Who Should Win: Again, these are all terrific performances. The power and weight of Viola Davis' performance in Fences is undeniable though. Those six words, "Well I was standing with you," still ring in my mind whenever I see a photo of her. Sensational. What Will Win: There's always the chance that La La Land will sweep the night and take home everything, but it'll be tough for it to dethrone the masterpiece of writing that is Manchester by the Sea. What Should Win: The Lobster may be the most original film in the group and four months ago I'd have been plugging Hell or High Water like a crazy person, but the emotional devastation and phenomenal control of Manchester by the Sea's script is impossible to ignore. Arguably the best script of the year. What Will Win: This could really go a number of ways. Arrival or Hidden Figures could nab the trophy as an apology for them being unlikely to take home anything else, Fences could swoop in for its intricate way of turning a stage production into a film, Lion even somehow took the BAFTA for this one. All things considered though, Moonlight does seem to be the front runner here - even if its source material is questionable in the first place. What Should Win: There's no denying the brilliance and importance of Moonlight's script, but the way Arrival depicts its themes in relations to its protagonist is outstanding. It's easy to not be blown away by Arrival on your first viewing due to the nature of its storytelling structure. If you've only seen it once, see it again. I guarantee it will move you to places you have never been moved to before. What Will Win: This award has been surprisingly unpredictable so far. Kubo and the Two Strings' shock BAFTA win caused an upset, and Moana's powerful message could work in its favour, but this still seems to be Zootopia's award to lose. What Should Win: Somehow, this is my hardest choice this year. Kubo is great and The Red Turtle's originality is remarkable, but picking between Moana and Zootopia is almost impossible. My head says Zootopia and my heart says Moana. When it comes to cinema, I think you should trust your heart more than your head: film is about feeling, not thinking. For that reason alone, I side with Moana. What Will Win: Toni Erdmann seems to be the front runner, and I can't see much else taking its place tonight. What Should Win: Land of Mine is well crafted and A Man Called Ove is pleasant enough, but if Maren Ade's near flawless Toni Erdmann goes home empty handed tonight then the Academy certainly won't be invited to any of my Naked Parties any time soon. What Will Win: I'd be incredibly surprised if anything other than La La Land took this one. What Should Win: La La Land boasts a handful of catchy numbers, and that "Epilogue" piece is admittedly breathtaking, but Jackie's haunting and entirely unique soundtrack perfectly accompanies its unbearably intimate look at Jackie Kennedy. It won't leave your mind for days. What Will Win: La La Land seems to have this in the bag too, and out of its two nominations here, I'd put my money on "City of Stars" taking home the trophy. 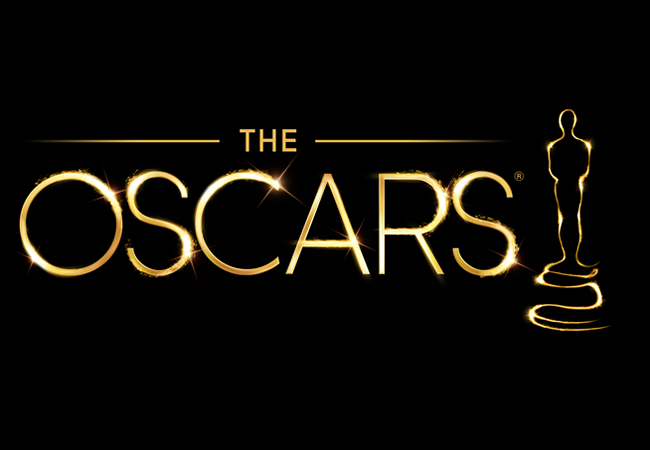 What Should Win: Since Sing Street's perfect "Drive It Like You Stole It" didn't even score a nomination (ugh), and La La Land's pinnacle "Another Day of Sun" was probably deemed too fast and emotionless for this category, my vote drifts over to Moana's "How Far I'll Go," which seamlessly captures the internal conflict of its titular character and brings it to life in fun, thoughtful and imaginative ways. What Will Win: La La Land's nomination here is perplexing to say the least, but the other four all make use of excellent sound work. Sully's plane crash sequences are expertly crafted and Arrival's innovative sound design could be an upset, but this award is known for going to war films, so Hacksaw Ridge is standing at the front of the pack here. What Should Win: The sound of bullets firing in all directions during that first battle scene in Hacksaw Ridge is unshakeable. If it doesn't win this there should be riots. What Will Win: Hacksaw Ridge could score a double and take both sound awards, but when it comes to mixing audio tracks together, where best to demonstrates this than a musical. La La Land will probably add this to its selection. What Should Win: The battle sequences of Hacksaw Ridge are unlike any other put on screen, and a lot of that comes down to the sound work. Again, nothing else is even close in my eyes ears. What Will Win: This has been known to frequently go for other period settings like Hail, Caesar! and Fantastic Beasts as well as future defining Sci-Fis like Arrival and Passengers, but even with this in mind, La La Land remains the front runner. What Should Win: There's no faulting La La Land's astonishing production work across the whole film, but the full interior of Arrival's spacecraft is haunting, atmospheric, beautiful and entirely original. What Will Win: Much like a lot of the technical awards, this also seems to be La La Land's to lose. What Should Win: The best cinematography of the bunch belongs to Silence - the way it tackled religious iconography and visual symbolism bordered on groundbreaking. It doesn't stand a chance of taking the award, for some reason Lion seems to be the only possible upset, but Silence will always be my winner here. What Will Win: A Man Called Ove, as lovely as the film is, has no real place here, and I find it very hard to believe the Academy will bestow an award of any kind onto Suicide Squad, so that puts Star Trek Beyond firmly in front. What Should Win: Quite frankly, there isn't anything special on display in any of these films. Star Trek Beyond's inventiveness is admirable though, so I'll put my vote there. What Will Win: Allied's costumes garnered most of its limited critical praise, and Jackie's pleasantly surprising BAFTA win has caused some ripples, but this seems to be another technical award heading straight to La La Land's heavy shelf. What Should Win: Jackie's recreation of Kennedy's real costumes is excellent, and the way the costumes are used to match the tone and mood of each scene is wonderful. It really should win this one. What Will Win: Arrival and Hell or High Water have no chance here. Moonlight could claim victory for its coming-of-age story told in three chapters, and La La Land's visual dazzlement could win it a few votes, but I believe the Academy will recognise the masterful editing work on display in Hacksaw Ridge's battle sequences. What Should Win: I singled out the editing for praise back in my Hacksaw Ridge review, and I stand by that comment today. It is exceptional. What Will Win: With its groundbreaking VFX work, this seems to be heading straight to The Jungle Book. What Should Win: Doctor Strange's visual effects are impossible to question, but if anything besides The Jungle Book takes this award then justice will not have been served tonight.